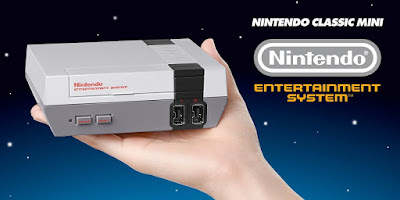 Nintendo announced Thursday that it intends to release a new version of the original Nintendo Entertainment System, complete with 30 included games. Sadly you can't use your original NES carts with the console and there doesn't seem to be any means of getting new games onto it. Also, according to the official press release, there's no power supply in the box with the European version, you get the USB cable but you'll need to source a USB power block, which shouldn't be an issue as most mobile phones come with them. In addition to HDMI support and a lack of cartridges, the new mini-console also features one useful modern convenience: multiple suspend points, so that you won't have to fumble around with passwords when you start playing a game again. The console arrives on November 11th, 2016.